October 29th, 1969: the first data packet was successfully sent between the networks of UCLA and Stanford University. This experiment laid the foundation of ARPANET, which will in time evolve on the Internet we know today. However, not many know that the idea of an interconnected computer network for civilian use was already proposed in 1959 by Anatoliy Kitov with a letter to Kruschev, better known as “Red Book Project”1. Had the two proposals not been stalled because of ideological reasons, maybe the Internet would have been born in Russia ten years earlier. Things didn’t go that way though, and the Internet ended up having a troubled start. In the eighties, it was the fear of the regime and the scarce diffusion of computers to slow down its evolution. As a result, it was only in 2007 that Medvedev announced that all of the Russian schools were connected, albeit not without issues. In the recent past, the situation has slowly been turning. 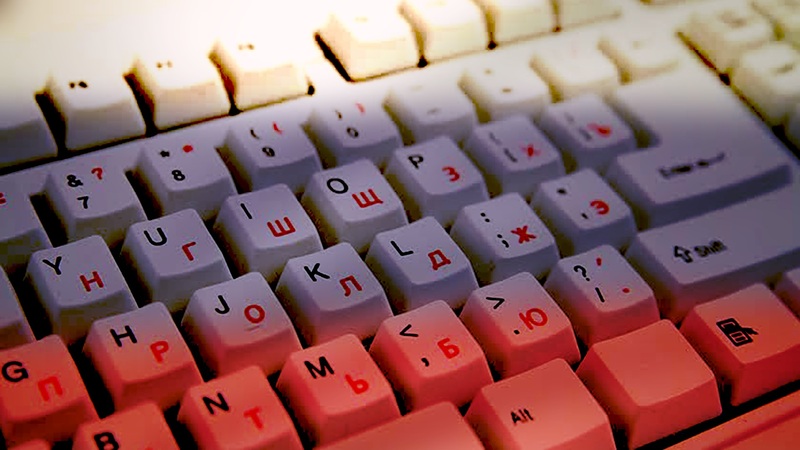 The number of people who are connected has been increasing at steady pace, so much that in 2013 a survey showed that Russian was the second most used language on the web. Today they surpassed 65% of the total population. So, where are we today? The Russia of Czars and Communism has given way to a Russia which is both modern and contradictory, ranging from blade edge innovation on one hand, but with the state still heavily meddling with every business. Mail.ru group is one of the biggest companies in the world and especially a dominant one in the current Russian scenario, with its 86% of Russian traffic under its control. Mail.ru’s story goes back to 1998, with Port.ru mail service and a web portal. Several mergers later Mail.ru becomes Mail.ru Group in 2010, even because of the technology bubble, and Dmitry Grishin becomes one of the key figures of the group. Grishin is considered one of the most successful entrepreneurs in Russia. Named in the MIT Technology Review’s annual “35 Innovators under 35” list, he is amongst other things the founder of the Grishin Robotics, a venture capital company based in Silicon Valley. Mail.ru’s controlled services include a web portal, an email service, a search engine in Russian language, two direct messaging services (it recently bought ICQ), the gaming platform My.com, an offline maps service Maps.me, the three biggest social networks in Russia, such as VKontakte, Odnoklassniki and Moi Mir, and Cloud, a cloud storage similar to Dropbox. The story of VKontakte, considered the Russian answer to Facebook, is particularly interesting. The service was founded in 2010 by Pavel Durov, who had to resign in 2014 apparently because of unbearable political pressure following his refusal to disclose the names of the Ukrainian protesters in 2014. In September of the same year Mail.ru bought the remaining 48% of the shares for about 1,5 billion dollars, becoming the sole owner with 100%. 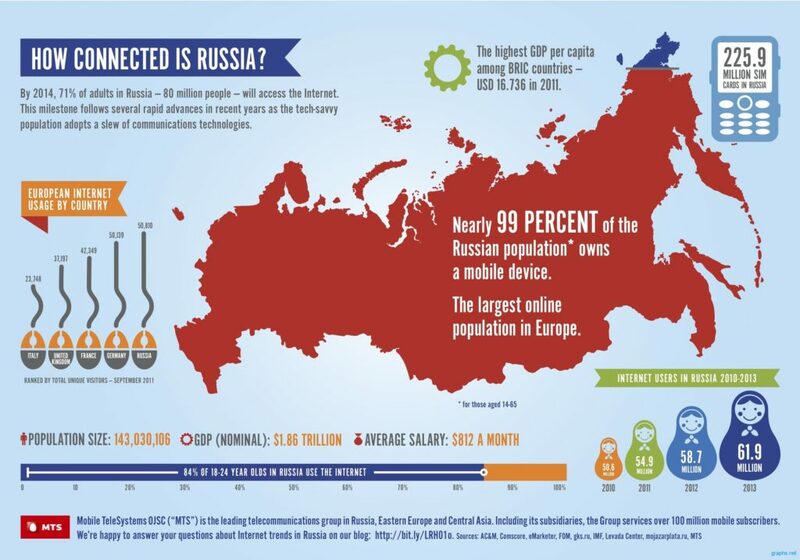 Russia is one of the very few countries in the world where Google is not leading the search engines market. According to StatCounter, in August of 2017 Google had 43% of the search engine market, down from 50% vs. his main competitor here Яndex (Yandex)2, who was up to 47%. The main reason for this drop was that while Google had the monopoly of the pre-installed search engines in the Android market, this spring Yandex won a lawsuit, and Google is now obliged to allow to its competitors to preinstall other engines. Yandex’s search engine Yandex.ru was launched in 1997: “a full year before Google” underlines Arkady Volozh, one of the founders. The main goal of the project was to tackle the needs of Russian speaking users, who were having trouble in making web searches in Cyrillic. Yandex may not be widely adopted abroad, but in Russia is a real giant, which had a “proxy” role for the national growth of internet economy. The company not only shows a breadth of interests comparable to Google’s, and a huge list of services, spanning from the search engine, off-line maps, self-driven cars, to estate market and meteorological forecasts, but, according to some operator like Bloomberg, its technology is comparable if not superior to Google’s. It’s also worth mentioning Yandex Data Factory, Yandex’s branch specialized in Artificial Intelligence applied to manufacturing. Russia and cybersecurity have always been a pretty easy association, standing to the popularity “enjoyed” by the Russian hackers in our collective imagination, and even more since when tensions erupted on the alleged Russian interferences with the American elections. The last allegations are those about the mass purchase of advertising spaces on Facebook for hundred thousand dollars, in order to spread fake news. Facebook’s position on the matter has been quite unconvincing, to say the least. In fact, the company revealed that the account was traced back to a Russian company, after that Zuckerberg dismissed the eventuality as “improbable”, since in his words “the electors do not rely on advertising to vote”. However, if Americans complain about Russian interference, things aren’t much better on the other side. Russia seems to be “disproportionately targeted by malware”, so much that the likeliness of it being the outcome of a scheme is to be considered. The biggest IT company for revenue is, without doubt, Kaspersky Lab, well known as the producer of one of the most used antivirus products in the world (by the way, one of the first to detect Wannacry malware). Nevertheless, the diffusion of its products, together with the accusations of having collaborated with FSB, led the American Congress to ban the company from the list of official providers. Whatever the outcome of this story will be, for sure things have changed after the paranoia induced by the suspicions about Russian interference. Talking about IT security, probably the second most important company after Kaspersky is Group-IB, a company whose core business is computer forensics and has clients like Microsoft, Gazprom and some of the biggest banks in Russia. Group-IB has possibly even stronger connections with FSB than Kaspersky a since the company performs functions like access to domestic and international filtering systems that under Russian law are assigned to FSB. Group-IB maintains both Russian and English versions of the website, but while the Cyrillic version states that Group-IB has an FSB license to work with state secret documents, the English version does not mention such license at all (see screenshots below). However, it’s also worth saying that singling out Russian companies because they collaborate with FSB is nonsensical. In fact, Russian companies have no other option than co-operate with the government if they are asked to. Besides, it’s usually easier to discover this kind of collaboration for Russian companies than it is for American ones. Group-IB makes use of cutting-edge Artificial Intelligence technologies to detect attack patterns and tools. In June 2016, those technologies were able to track down a new type of cyberattack carried by Cobalt in a big Russian bank: that attack technique focused to gain root access to the systems and study the transactions performed through those systems, so to replicate them later on. Ilya Sachkov, the founder of Group-IB, states that Russian cybercrime is only the top of the iceberg and that below the surface “a lot of corruption, infrastructure and politicians” are involved. Ilya himself says he had bodyguards for two years because of Caucasian mafia (not anymore because “I understand that if they want to do something bad they will do it anyway”). Russian innovation doesn’t end in Moscow: in Siberia, about 30 mins south of Novosibirsk, we find Akademgorodok. The institution was founded in 1957 under Khrushchev’s auspices to create the new Soviet Science Academy. It was a great opportunity for many young scientists, lured here by the government, with the chance to live in luxurious apartments and being awarded the kind of prestige that they could only have in a community like this. However, when the Soviet Union fell, so did the walls that kept the scientists there: many fled to work in companies like IBM. For those who stayed, the utopia had lost its lustre. Since the middle of the nineties, however, several economic reforms started opening to foreign investments. In 1992 right in Akademgorodok, it was founded Novosoft, a software company that had IBM as the main client. Times are changing for Akademgorodok. Today the old academy is no longer made by scientists alone, but there are a plethora of private companies, so to make the place deserve the nickname of “Russian Silicon Valley”. Tion, for example, is a start-up focused on air purification. The company produces devices like Breezer o Clever, that combined with Magicair can autonomously adjust the quality of the air, and eventually even eliminate allergens. Optiplane instead is a startup focused on drones specialized in aerial photography in adverse climatic conditions. It is very difficult to successfully run a drone start-up in Russia, mostly because this technology is still perceived as “too radical”. Because of this, like most of the Russian start-ups, Optiplane had to resort to a technological incubator to have a better chance of surviving. FindFace: the end of the privacy as we know it? “create algorithms, as intelligent as human beings, and as efficient as machines”. The company has developed a piece of software which is both controversial and gaining momentum: FindFace. FindFace is a mobile app able to recognise faces from photos taken by a mobile phone. Face recognition is hardly anything new, but the sheer accuracy of its algorithm (seemingly superior even to Google’s), together with its integration with social networks3, makes this app able to identify any stranger out of the crowd just snapping a photo of him. NTechLab states that FindFace is also able to recognise people from a video, even identifying age and gender. Furthermore, the company made its engine available to third-party developers through its API. NTechLab is already working together with the local Police, and the thought of what institutions like FBI or MKVD could do with this type of information is disturbing, to say the least. The chance of being identified by perfect strangers anywhere might take the idea of “stalking” to a whole new level. Other innovations from the world of the Russian start-ups: pixel-less screens, intelligent gloves for sign language, narrated presentations. The cauldron of technology innovation in Russia is always stirring: it might be worth a short panoramic of some of the coolest ones. 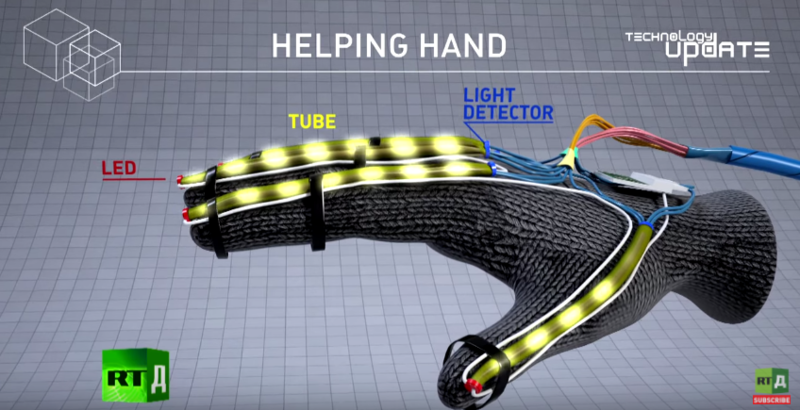 Darya Yakimova, a student from the Bauman University of Moscow has developed a glove for the automatic recognition of sign language (see below). Thanks to specific sensors on the fingers and to an accelerometer, the glove allows the user to convert the signs to text. The next step will probably be the conversion to voice. “Pixel is the enemy”, this is the motto of 3D-Tek, a start-up specialized in very high-definition screens, whose interpolation technology makes the pixel grid basically invisible. In short, the image is literally built inside a layer of microlenses. Subsequent layers made of special films are responsible for both an anti-aliasing and a depth of black that are nearly perfect. Penxy is a service that lets you upload your presentation (either in Powerpoint or PDF) to the cloud, generating a unique URL. It is also possible to record a speech you can tie to the presentation itself, and the website will create an interactive “narrated” presentation, with the possibility to edit your audio straight on the web. We can complete this review citing LangPrism, the service of website translation that their creators like to call “the Russian answer to Google”. The service can translate any website in another language and makes the outcome available online.